Washington Park, one of two sites being offered by the University of Chicago for the Barack Obama Presidential Library and Museum. Credit: Photo © Lucas Blair, courtesy The Cultural Landscape Foundation. 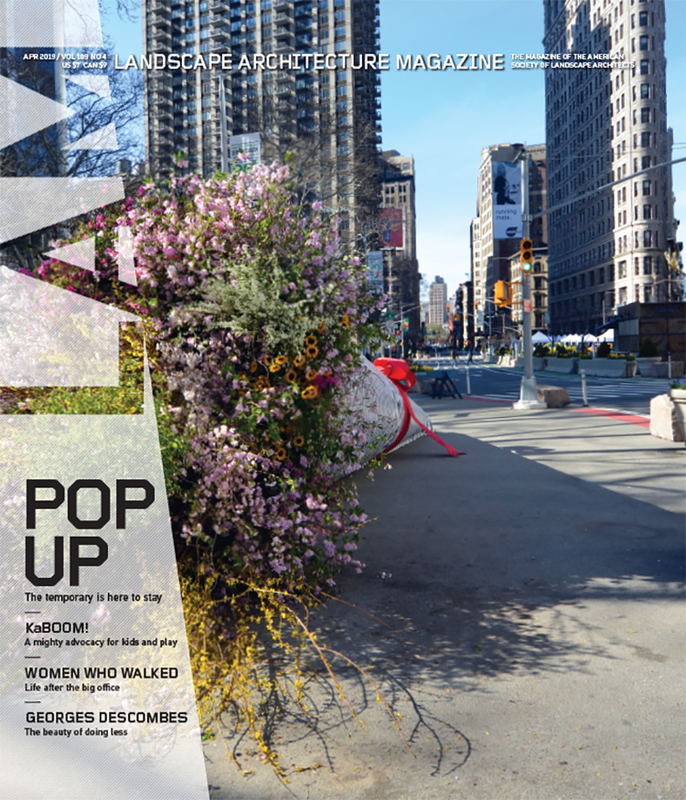 From the June 2015 issue of Landscape Architecture Magazine. To the annals of things you thought might be sacred but actually aren’t sacred at all, you can now add 20 or so acres of a Frederick Law Olmsted and Calvert Vaux park in Chicago that will be used to build the Obama presidential library. The Barack Obama Foundation, which had been considering four sites in Chicago, New York, and Hawaii, announced on May 12 that it had narrowed its choices down to a site in either Jackson Park or Washington Park on Chicago’s South Side. Neither the foundation nor the University of Chicago, which lured the library with the promise of using public parkland after a transfer engineered by Chicago’s mayor, Rahm Emanuel, knows which Olmsted park they’ll decide on. But they seem sure that, despite dozens of empty acres owned by the city near each of the parks, only a park site will do. When you consider who’s at work behind the idea, it seems inevitable that one of the Olmsted sites would be the choice. There’s Emanuel, who is a former chief of staff to President Obama and recently won re-election to a second term as mayor. There’s Susan Sher, a former chief of staff to First Lady Michelle Obama, who is now an adviser to the president of the University of Chicago, Robert Zimmer, and managed the library bid for the university. 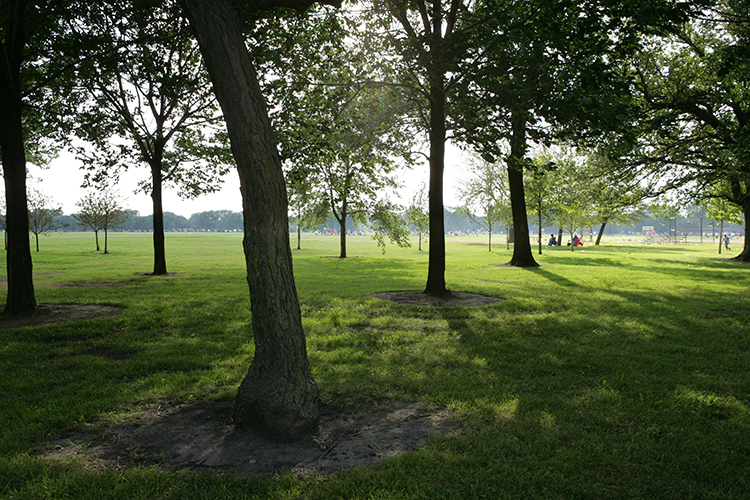 There are the commissioners of the Chicago Park District, appointed by Emanuel, who unanimously approved the transfer of the parkland to build the library (except for the president of the park district’s board, Bryan Traubert, who declined to vote because he is married to Obama’s secretary of commerce, Penny Pritzker). And then there are the Illinois legislature and the governor, who, in light of potential legal threats to the library project, quickly approved a bill in April to preemptively block legal challenges to the taking of public parkland to build it. I might have counted on the huge numbers of Olmsted fundamentalists and preservationists, so conspicuous on other occasions, to emerge in force against the library foundation’s plans. But other than substantive counterarguments made by a couple of advocacy groups—the Friends of the Parks in Chicago and the Cultural Landscape Foundation in Washington—any opposition to the idea of appropriating parkland for the library was muted to nonexistent, notably among landscape architects. A move to develop part of Central Park or Prospect Park, also by Olmsted and Vaux, in New York, would create something close to panic, as would, I suspect, designs on a Mies van der Rohe building or the Tribune Tower in Chicago. It’s not possible to know whether there are more people who opposed Chicago’s offering of the park but kept quiet owing to fears of political retribution—no more municipal work for you, grouch—or because they didn’t think it is wrong, or because they thought fighting was futile. Not that one reason is more terribly disappointing than the others. This was a moment (and a long moment since word of the city’s plan came out late last year) to defend something that landscape architects and park advocates say they hold dear. The ultimate responsibility lies with the president and First Lady themselves. When they announced the decision and ended the charade of keeping their distance from the site selection process, they cited, of course, their deep attachment to the South Side of Chicago. This part of the city makes perfect sense for the Obama library for many reasons. But if the Obamas are so rooted on the South Side, you’d think they wouldn’t be quite so indifferent to the gravity of developing part of its most important park, which, for reasons that don’t require much explanation, is, or was, indeed sacred. Thanks for this. Of course part of the “Olmsted and Vaux” legacy in the case of Washington Park and the northern part of Jackson is complex. After the fire, the subtropical planting design and regrading proposed in the 1870 report and plan of the parks was rejected for cost reasons. H. W. S. Cleveland (and William Morse Berry, later of Minneapolis), were put in charge of the planting decisions, loosely following the Olmsted and Vaux scheme. This shared legacy of authorship of Midwestern landscapes is buried in the reports of the South Park Commission. The Olmsted and Vaux form underwent important changes in process. Cleveland used native and local plants on a less constructed landform – to get results quicker and with the appearance of nature (including a wild ramble added in Washington Park at the corner of the great clearing). This important narrative for landscape architecture has been lost in the Olmsted hagiography. And the Washington Park connections to later work by O. C. Simonds and Jensen in Chicago have been mostly lost as well. All of this too complex, in the past for landscape architects no longer responsible for these histories. For Rahm and Barack…how are they supposed to know this?